If you want make use of the data for scientific publications, remember that this is still preliminary, and that we welcome contributions and open discussions on this dataset. 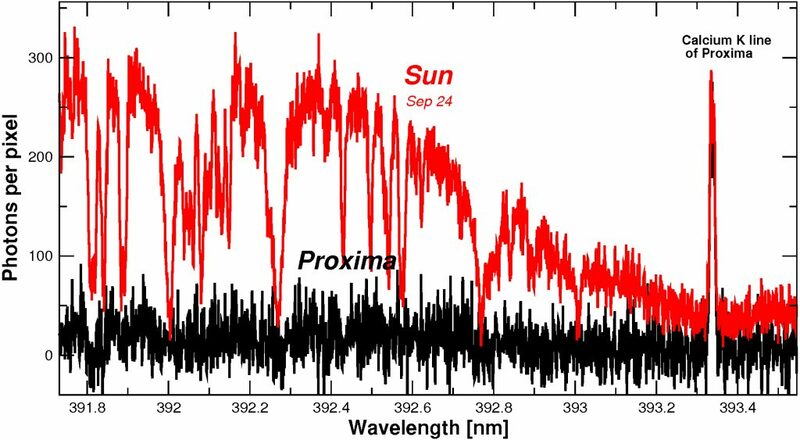 We mentioned the possibility of a second strong signal in Proxima’s RVs. Instead of forcing our conclusions into you, we let you take a look at all the observations and try to draw your initial conclusions (if you are new, we suggest using the systemic tool) For those with technical expertise in high resolution spectroscopy and science formats, you can access the ESO reduced files in the Proxima/Spectra folder, and the corresponding up-to-date radial velocities in Proxima/timeseries/. 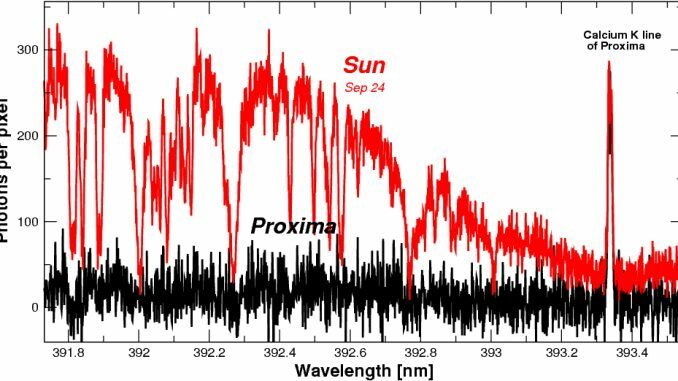 A very quick analyses of the 2017 only data, shows that the signal of Proxima b is again detected with the new data set only! 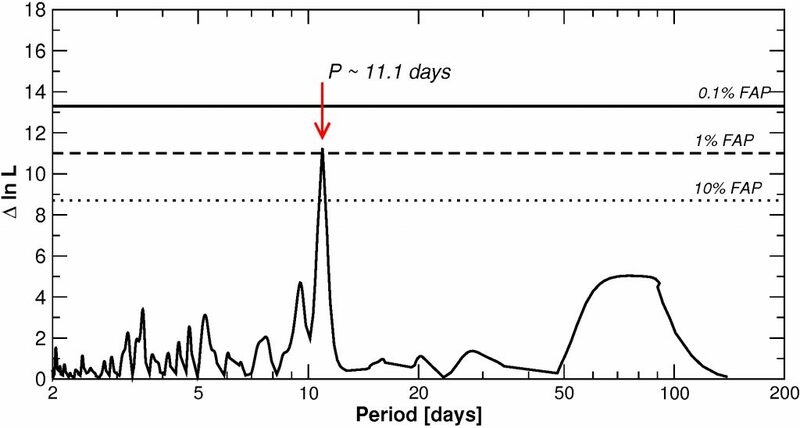 This was not the case for a while (data from first weeks was not as good as last year), but it looks like that in the end Proxima b’s signal remains in healthy confirmed state. It is worth mentioning that we dropped three spectra because they were badly contaminated with solar-like stray-light. That happens because they were taken a bit too early after the sunset, because the moon was near the star on the sky, presence of high clouds scattering sun & moonlight, or a combination of the three. These spectra are in Proxima/Spectra/contaminated/ in case anyone has a use for them. The photometric datasets are almost ready, but we need to clean them up and organize a little. 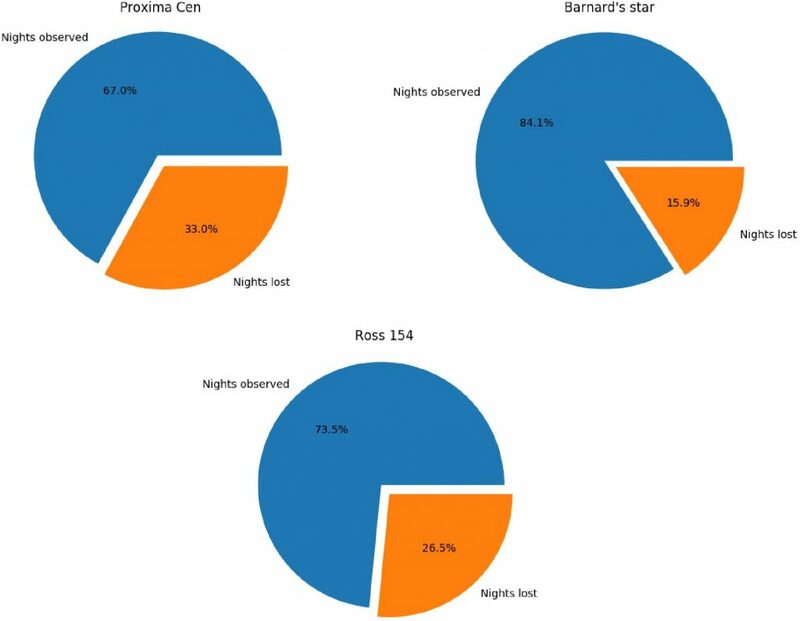 Data is coming from more than a dozen observatories and the formats are not fully consistent with each other. Lot’s of spreadsheet work to do!